Home Insurance with Bestquote.ie. Get More Value with us! When protecting your property deserves the very best, Bestquote is here to deliver exceptional coverage at affordable rates to cover all your property insurance needs. Bestquote also offers Mortgage Protection and Life Insurance and may have better rates than your mortgage lender. Learn all that Bestquote has to offer for your household insurance needs by calling 0818 223 223 today. Cheap house insurance quotes are just that - cheap - and the last thing you want is to save money at the expense of your property and security. You also don't want to throw money down the drain. At Bestquote, we want to make sure you're getting the most value from your home insurance cover, that's why we encourage you to talk to us before you get an online quote. 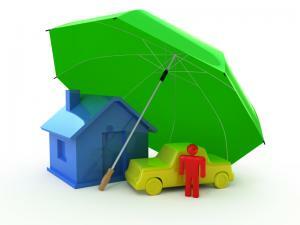 We can help you compare home insurance cover for both building insurance and contents insurance. We can make sure you're getting all the discounts for which you are elligable and we can negotiate affordable premiums for your policy - just call 0818 223 223 now or get a house insurance quote online.